Considering a VPN for yourself but don’t know which one to choose? Why not starting your ZenMate VPN 7- day free trial now? Whether you are in need of a VPN for unblocking geo-restricted content, or just to ensure your online privacy, ZenMate VPN is a decent choice for you. More than 40 million users worldwide are using ZenMate VPN to ensure their security and privacy online without leaving any disappointment. This is a Germany based VPN provider that has been in the industry for about 6 years. As one of the top-rated VPNs in the world, ZenMate makes sure your browsing is completely anonymous, while also ensuring that you can navigate the web without any restrictions. ZenMate VPN’s 7-day trial period is entirely risk-free. You will have a whole week to check if this VPN really delivers on speed and security before you put money down. The company has confident that you surely love their service. Therefore, in addition to the ZenMate free trial, you also get 30 days money-back guarantee. Get a complete protection for you and your family with ZenMate VPN now! ZenMate – A Fast, Secure & Easy VPN. ZenMate is the leading VPN service provider trusted by over 47 million users today. Although it only has hundreds of network servers in 30 countries, the company is working hard to expand their network by adding new servers in different countries and locations. The good thing is ZenMate does have servers in the traditional countries like US, Canada, Australia etc and the connection speed is above the average. 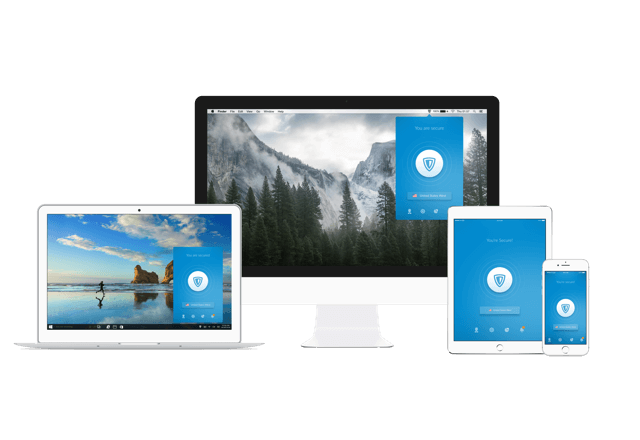 In order to secure and encrypt your data on all your devices, ZenMate VPN is cross-platform. It is not only available for mobile tablets and phones running Android or iOS, but also works seamlessly with computer running Mac OS X and Windows. In addition, ZenMate VPN can work as browser extensions available for Google Chrome, Firefox, and Opera, giving you quick access to a free Internet without downloading desktop clients. With one single account, you can use the same ZenMate account for up to 5 of your own personal devices/platforms at the same time. Besides, ZenMate is one of the few VPNs in the market that offer their app in various languages. The app can be customized to show text in English, German, Turkish, Korean, Spanish and Russian. ZenMate VPN is always committed to helping to build a secure, private and free internet. As a German company, they are bound to strict data privacy laws and will not track any IP address or connection, neither log user’s data. Just like other best VPNs in the market, it employs a strong 256-bit AES encryption to encrypt your Internet traffic. ZenMate supports all major protocols including OpenVPN, PPTP, L2TP, IKEv2, and SSTP, and features with Kill Switch and DNS leak protection. Whether you’re home or away, the strict no logging policy and strong encryption make sure your browsing history stays top secret. So, you can get peace of mind while browsing anonymously online. Not only does ZenMate VPN stop anyone being able to track your online behavior but it also protects you from several online threats such as hacking and identity fraud. With ZenMate VPN, you can bypass Internet censorship and access any website with no country limits when you are away from home. Also, you will gain full protection when using public Wi-Fi hotspot and uninterrupted streaming experience with no bandwidth throttling or buffering. Overall, ZenMate VPN saves you from a world of troubles and help you browse the internet without being tracked. Get ZenMate 7 days free trial now and take ZenMate along for the journey! All plans include 100% money-back guarantee within your first 30 days of service. As far as payment options go, ZenMate VPN offers you a few choices. You can pay with credit cards like Visa, Mastercard, American Express, JCB or PayPal, which is one of the largest online payment processors in the world. Also, ZenMate accepts UnionPay, which is the largest payment card issuer in China. However, it doesn’t seem ZenMate supports Bitcoin payment method, however, for people who are super paranoid about online identity, ZenMate offers bank transfer. With a growing number of online threats, bank transfer gives you convenience while making your data encrypted and protected from any interference. Before you pay, you can start your ZenMate 7 days free trial first to check if its performance and ability meet your expectation or not. Your subscription will be protected by 30-day money back guarantee so you have nothing to risk when you join. Now, if you upgrade to ZenMate Ultimate from as low as $2.05/month, you will get a FREE 1 Year License for McAfee Internet Security. Get the biggest savings at ZenMate now! ZenMate VPN kindly offers a 7 days free trial to its customer and lets them test their Ultimate VPN servers risk free. You can get a free trial account at ZenMate and try the service on for free. During the trial period, you can access to their full desktop VPN clients and mobile apps which offer increased functionality encrypting and securing all internet traffic such as downloads and VoIP clients. The VPN doesn’t place limitations on the server locations, protocols or client software you can use during the trial period. It doesn’t limit your data usage either so that you can use the service as much as you want and connect to all server locations. 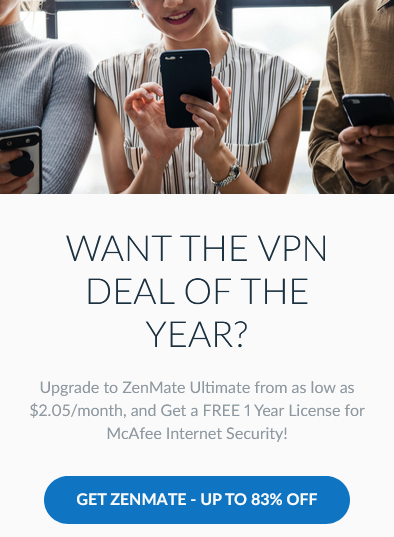 If you are satisfied with the service, at the end of a seven-day free trial, you can upgrade to ZenMate Ultimate from as low as $2.05/month, Plus, you can get a FREE 1 Year License for McAfee Internet Security. Every ZenMate subscription is 100% risk-free and comes with 30 days money back guarantee. If you’re not satisfied with ZenMate for any reason, get a full refund within 30 days. No question asked. To get ZenMate free trial, you just need to click the button below and click “Start Free 7-day Trial ” button on their homepage. An email with a verification link will get sent to your email address as soon as you sign up for your ZenMate account. When you click on the link, the confirmation page will open and your free trial will start. Why Over 47 Million Users Across the Globe Choose ZenMate VPN? ZenMate VPN is a Germany-based VPN provider that designed to keep all your online activity and communications secure, along with your identity. Even you’re logging onto public Wi-Fi networks in the airports or coffee shops, ZenMate will secure your Internet connection and keep your data safe, making it impossible for hackers to access your personal data. The VPN also prevents your ISP from tracking your activities and allowing you to visit websites that aren’t allowed in your country, like Facebook, Twitter or streaming sites like Netflix and Hulu etc. If you are concerned about hackers, snooping or your privacy online, ZenMate VPN is a good choice for you. ZenMate VPN works with all popular systems including Windows, Mac OSX, android, iOS, Linux and routers. It also has extension for Chrome, Firefox and Opera. Since ZenMate is located in Germany, which is a part of the agreement, it will have to compromise user’s data when it accounts for performing illegal activities. However, the service has made it clear and evident that it does not collect, store, or process any user information. With ZenMate active, all data passing through your internet connection is encrypted and routed through our secure servers hiding your activity from third parties. All ZenMate subscriptions come with 100% strictly-enforced no-log policy. Break free of download limits set by your ISP and other VPN services. ZenMate VPN gives you unlimited VPN bandwidth and unlimited data usage to make you avoid being throttled and monitor how many data you are using. You can prevent your ISP from throttling your service as well. For advanced security, the ZenMate VPN can block malicious sites and code snippets on your servers, giving you a comprehensive protection. Protect your privacy by preventing 3rd party services from tracking you across the internet to collect information and analyze your online activity. The Kill Switch feature is available for the ZenMate VPN Desktop Client for Windows that can be used to prevent data leaks. If connection to the VPN is lost, it will automatically stop the traffic and cut your Internet connection entirely to prevent unencrypted data from leaking through and your identity from being revealed. ZenMate allows up to 15 simultaneous connections with one single account, whether you are on desktop computers or mobile platforms. Carry protection everywhere with ZenMate for all devices. 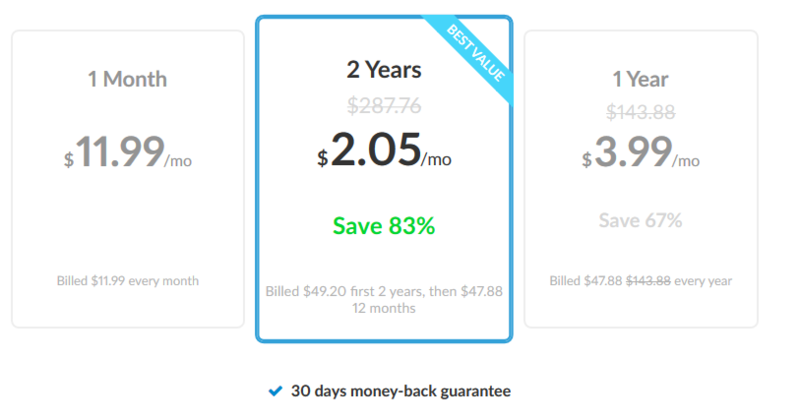 ZenMate offers a full 30-day money back guarantee. If you’re not satisfied with their service, just ask for a refund within 30 days. ZenMate earns the good reputation all around the world by millions of users thanks to its fast speed, impressive features as well as the ability to protect your privacy, anonymize your online activities, and secure your connection. Still not convinced? Start your free 7 day trial now! ZenMate Free Trial or A Free VPN – Which Should You Choose? Using both a free VPN or ZenMate free trial will not charge you a single dollar, however, you’ll find that things are different between them. Free VPNs usually come with a certain daily or monthly bandwidth limit. This ranges from 500 MB per day up to 10 GB per month. Once you go over that limit, your VPN will stop working. However, ZenMate 7 days free trial gives you unlimited bandwidth usage and you can experience all the features of its Ultimate Plan. The best thing is ZenMate allows up to 15 simultaneous connections with one single account, making it a good option to protect you and your family. Unlike free VPNs that could throttle the speed of your Web connection and let you browse the Web in a very limited manner, ZenMate ensures turbo speed without any restrictions and gives you access to Netflix, Hulu, YouTube from anywhere you are. So, if privacy and security is your priority, you should stay away from free VPNs which may log your browsing history and record your information without your knowledge. Choosing a free trial from the top VPN like ZenMate would be the smartest option for people who looking for security and anonymity online. In addition to the 7-day free trial, ZenMate is offering a massive discount on its VPN service. 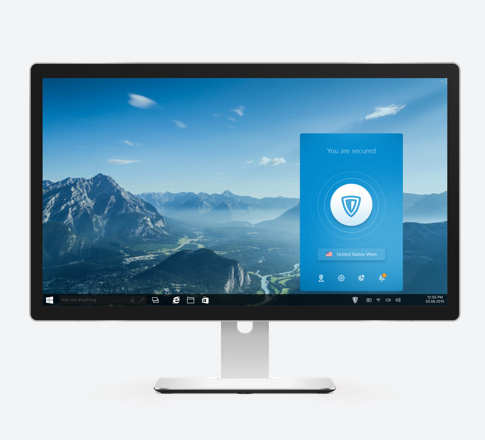 During their promotion, every user will be offered extra coupon with a 1 Year FREE license of McAfee Total Protection, starting at $2.05/month if he or she purchases ZenMate Ultimate 2 Years. Give ZenMate a shot now! Try It Risk-Free for 7 Days! ZenMate VPN is one of the best VPNs that enables you to browse on the internet with a peace of mind. No logs, no worries. The service generously gives you the ability to try out most of its features in advance of purchasing it. You can enjoy advanced security with a 100% guaranteed no-log policy, high speed connection, unlimited bandwidth, 30+ global VPN server locations and more. If you are looking for a simple and all-around VPN, just give ZenMate VPN a try. Start free 7-day trial now to become anonymous with one click. If you are less than 100% satisfied, just get a full refund within 30 days, no hassle, no stress. Risk-free!